Adding a water feature can be as simple as tucking a decorative fountain near the entrance of your home or as elaborate as creating a massive cascading water feature that is sure to capture major attention. We offer custom water features for both residential and commercial properties. We can work with you to design your very own custom water feature to enhance the value of your property. 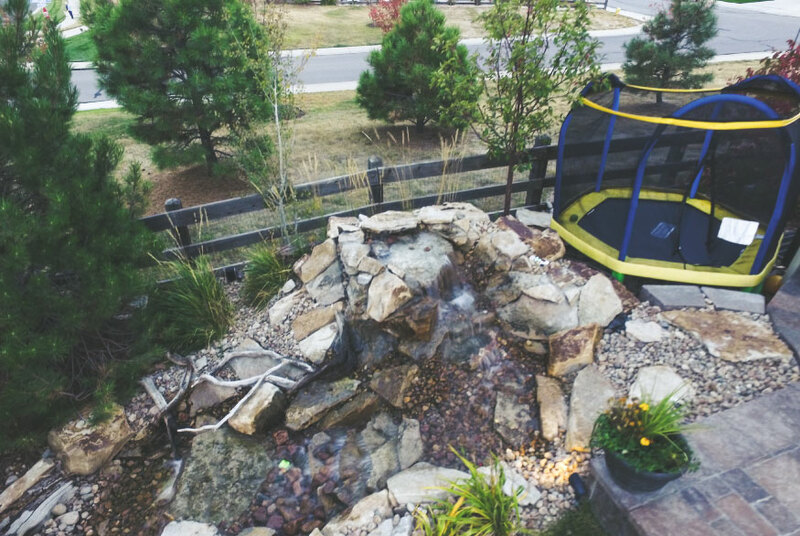 Our water features include top of the line equipment, pumps and filtration, which ensures that your water feature will last for years to come and remain beautiful. Our water features will be the focal point of your landscaping. If your water feature is ever in need of repairs or maintenance we can help. Get help with Water Quality Analysis & Remediation, Additives and Treatment, Pond Pump Repair and Replacement, Crack and Leak Repairs, Filter Sizing, Installation, and Maintenance, Pond Recoating, Routine Spring and Fall Maintenance, Aquatic Vegetation Installation and Maintenance. Thinking of a Water Feature? Get a quote today. We offer a ZERO OBLIGATION FREE QUOTE for water features. We can discuss plans, design, location, budgets, and ensure we find the best solution for you to transform your space into something beautiful. Click below and set up a FREE QUOTE today.